“I have written before how much I rate him as a player but he is the kind of big name who is only worth having if he’s really on form. Anything below that and his presence in the squad becomes disruptive and you would be better off selling him,” he said in his Times column. 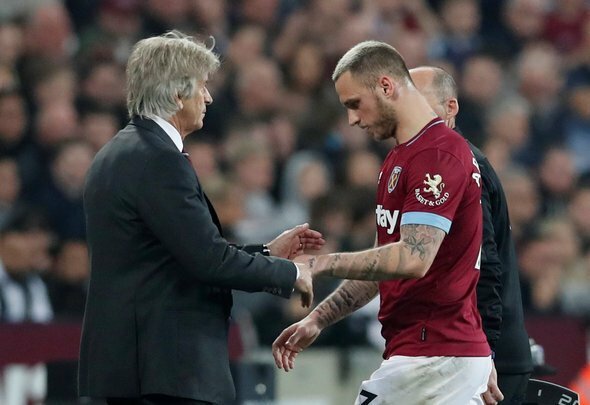 He may have signed a new contract a few months’ ago, but Pellegrini must cast that aside and do what is best for the club – binning him permanently. It is not the Austrian international’s form that is the entire issue here. His attitude is a big problem at the moment, and the rest of his teammates would not be too impressed with the way he conducts himself sometimes. Nor would the fans. It is not likely that many of the supporters would have forgiven him after the rumours circulating about his future back in January – why would they? It indicated that he is not the loyal player that they may have thought he was, and if a player is not loyal, what is the point in them staying? His performances suggest that he does not want to be at the club, so the Irons must cut their losses and pack his bags this summer.